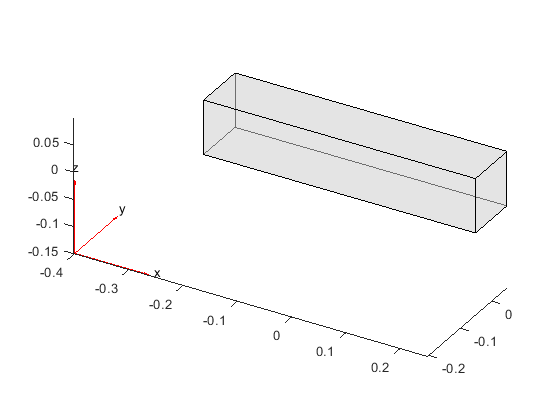 bl = findBodyLoad(structuralmodel.BodyLoads,RegionType,RegionID) returns the body load assigned to a geometric region of the structural model. A body load must use units consistent with the geometry and other model attributes. Specify the Young's modulus, Poisson's ratio, and mass density. Notice that the mass density value is required for modeling gravitational effects. Check the body load specification for cell 1. Body loads of the model, specified as a BodyLoads property of a StructuralModel object. Body load assignment, returned as a BodyLoadAssignment object. For details, see BodyLoadAssignment Properties.